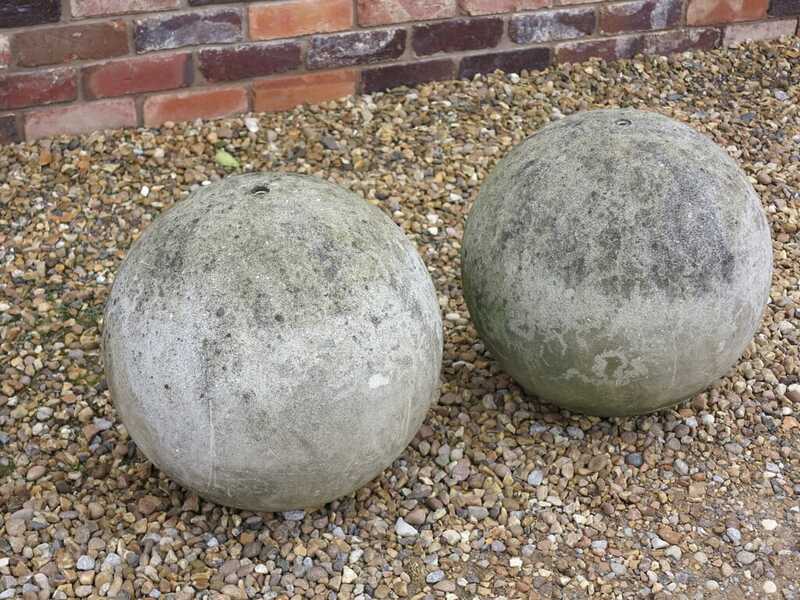 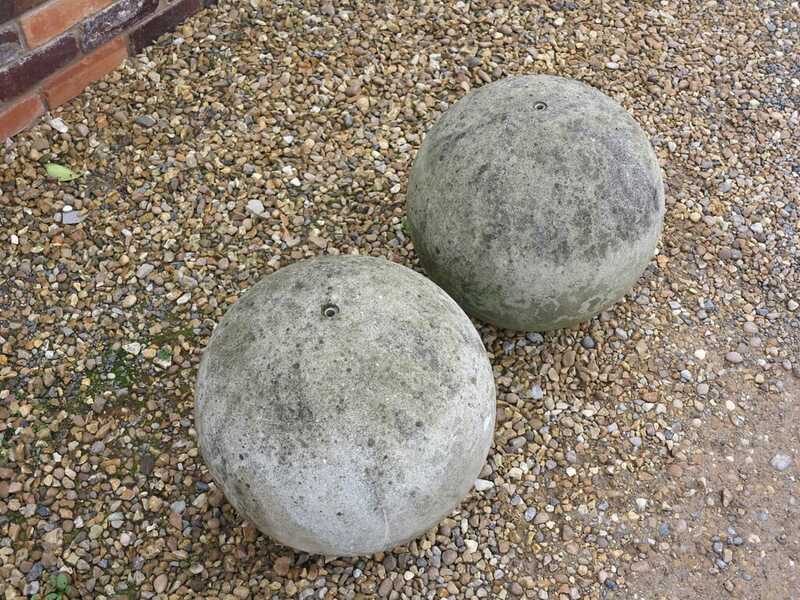 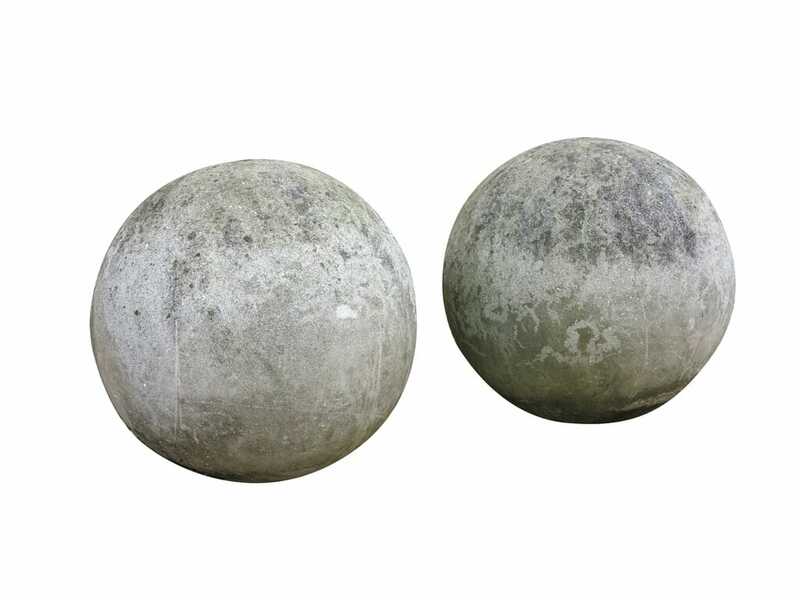 Pair of reconstituted stone gate entrance balls. 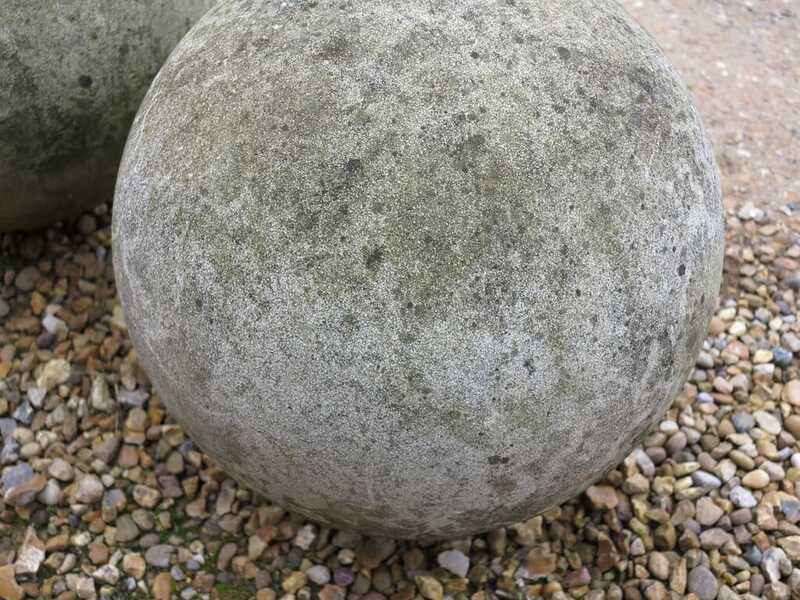 The colour is a Portland Stone. 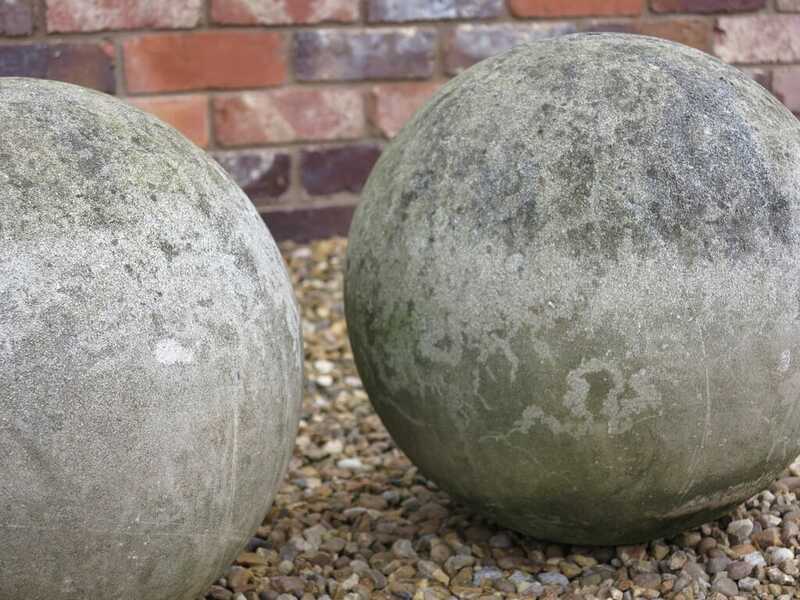 Haddonstone cast stone is an handmade unique form of cast limestone with a surface texture similar to Portland stone.